A university researcher in Quebec is warning that New Brunswick forestry practices may be negatively affecting the province's birds. A university researcher in Quebec warns forestry practices that cause landscape changes in New Brunswick can have a big impact on bird populations. "My students and I have been looking at the effects of landscape change on biodiversity, with a focus on birds as indicators," Marc-André Villard of Université du Québec à Rimouski explained Friday on Shift N.B. In particular, Villard is interested in the impact of clear-cutting and new plantations on birds' mobility as well as their ability to find food and establish a habitat. When a mixed forest of red spruce and different species of deciduous trees is replaced with a spruce plantation, "you will have a major reduction in the population of a number of species that are associated with larger trees and deadwood," he said. So, if a woodpecker is unable to habitat a change in the landscape and create holes in the trees, that can impact other species, such as spotted owls, that use those caverns for their habitat. "It's not just species that are affected by the plantation, but it's also all the connections with other species that depend on them," Villard said. Research shows that birds such as Ovenbirds, named for the shape of nests they build on the forest floor, are less likely to move across a large, new plantation and more likely to return to their original habitat. 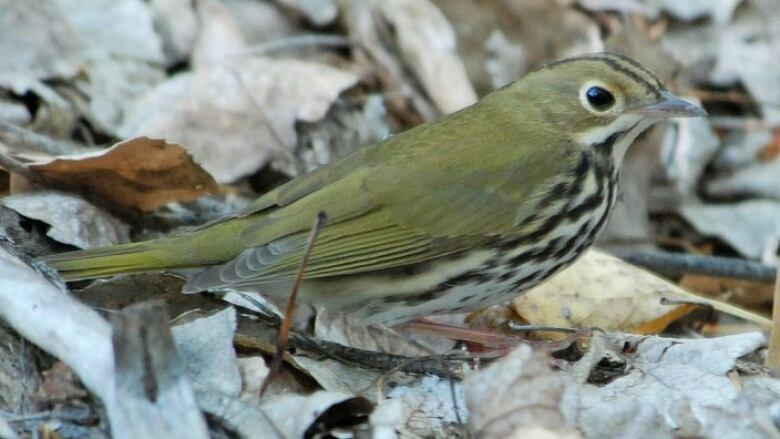 The Ovenbirds prefer deciduous forests and tend to forage for food, such as invertebrates, on the ground. In a new plantation, there are less opportunities to find food on the ground, Villard said. Even with the changes that have occurred in the landscape, Villard said "it is never too late" to help birds in the province. He noted there are still plenty of forests that haven't been harvested and could be maintained. He sees the issue as a political one and encourages the public to start asking questions about how forests are managed. "So, I think New Brunswickers should be asking their government what this is about because we used to have much more say into the management of our forests," he said. Now the Department of Natural Resources and the forest industry make the decisions, to "figure out what's good and what's bad," he said. With files from Shift N.B.